Artificial intelligence, robotics, and the pursuit of autonomous systems that we can trust. 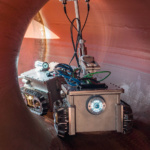 Part one of two articles about robotics and AI by Mark James, who spent 30 years developing advanced software systems for NASA’s Jet Propulsion Laboratory, and is now CTO of Beyond Limits, an AI engineering company in southern California. Intelligence is a rare and valuable commodity. From the mysterious brain of the octopus and the swarm intelligence of ants, to Go-playing deep learning machines and driverless vehicles – intelligence is the most powerful and precious resource in existence. Despite recent advances in Artificial Intelligence (AI) that enable it to win games and drive cars, there are countless untapped opportunities for advanced technology to have a significant and beneficial impact on the world. Particularly so at the intersection of AI and robotics. 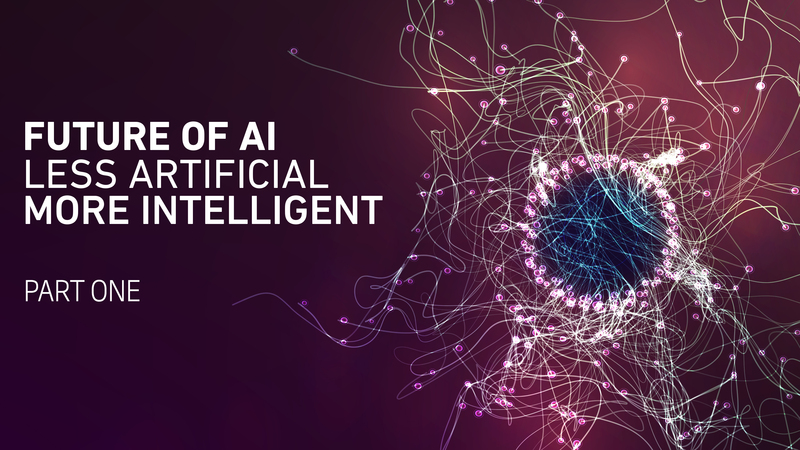 Driven by three big trends, we’re currently in the middle of a powerful new wave of AI. Computer power is growing, algorithms and AI models are becoming more sophisticated, and, perhaps most important of all, the world is generating unimaginable volumes of data. Data, measured in billions of gigabytes every day, is collected by networked devices in virtually every industry. As a result, AI is being tightly interwoven into almost every aspect of our lives, from our cars and medical devices to robots and entertainment. It’s here to stay. The question is, how can we shape it? There is always public apprehension when pioneering technology is first introduced. When horseless carriages appeared on the streets of England, for instance, a flagman was required to walk in front so as to not frighten the horses that were about to be replaced. Today, many people have similar misgivings about robots. 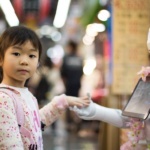 Movies and internet memes about overly-intelligent robots stir fears that machines are destined to take over, and yet most people overlook the robots already influencing their everyday lives. Who doesn’t appreciate the convenience of devices like washing machines or dishwashers? They do all the tedious work for us and they do so without complaint. Today we employ both robots and artificial intelligence, but the two are not yet combined in any profound way. We’re in the early days of the evolutionary saga of intelligent machines. Factories, for example, are filled with not-very-smart robots, fulfilling their destiny by fastening bolt after bolt, weld after weld. Various tech companies, meanwhile, are starting to deploy ‘embryonic’ AI systems, which do little more right now than flap their metaphorical machine learning limbs. They have no situational awareness. In keeping with the metaphor, these machines neither know what flying is, nor why one might want to fly from point A to point B, but nonetheless, they may someday achieve flight. Machine learning systems are the computing equivalent of the old pre-internet meme: if you had an infinite number of monkeys and an infinite number of typewriters, they’d eventually produce the complete works of Shakespeare. 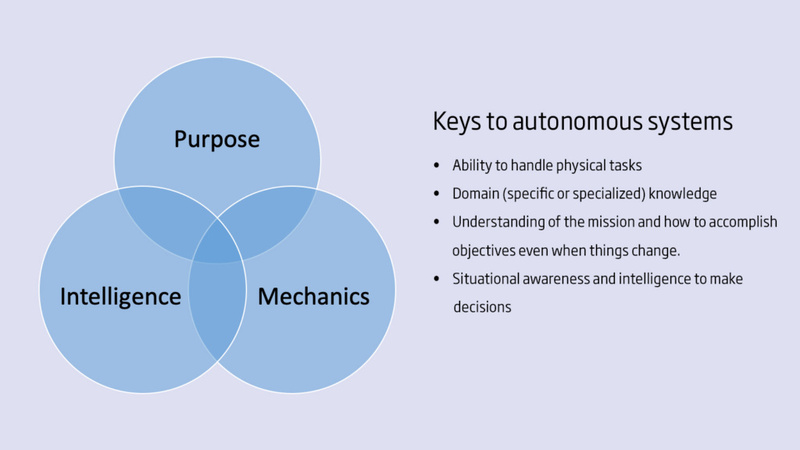 That said, there’s an important third concept where intelligence and mechanics do intersect: autonomy. Autonomy can be loosely described as giving AI certain freedoms to guide its action within a larger context; it presupposes that the system must have an overriding purpose, which it uses to guide its judgement and decision-making. If we consider the case of a NASA space mission, then; the purpose might be to conduct science on a remote planet. As such, the mission’s AI is programmed to know that despite unanticipated events or conditions, the mission must go on. Therefore, unlike the aforementioned wing-flapping machine learning systems, NASA’s AI needs additional capabilities. It needs to have both situational awareness, and the ability to make decisions that adapt to any surprise changes to its situation. Businesses are eagerly embracing robotics coupled with AI, recognizing the potential to lower costs, increase productivity and safety, make new product offerings possible, and provide actionable business insights. Interestingly, only a few business leaders are motivated by potential labour force reductions or risky “moonshots.” Rather, 78% of leaders surveyed hope to use AI technology to transform existing operations. 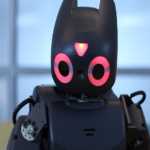 Unlike the sophisticated – and sometimes even witty – robots seen in movies or TV shows, most present-day robots are programmable machines designed to accomplish mundane tasks in the physical world. They are tools, helpers, and collaborators, and are controlled by either a computer, a human operator or, increasingly, by an AI system that combines computing power with human expertise. Today’s robots are good at repetitive industrial tasks: moving materials on assembly lines, welding, bolting, painting, assembly, loading, and so on. They do good work in controlled environments with predictable conditions that don’t change much. Simple autonomous robots can accomplish ‘basic’ tasks like vacuuming the home or cleaning a swimming pool, but they’re still not making important decisions. For a robot to move, it requires an entirely different order of awareness. This is especially true if the system is expected to be autonomous. Moving through space and time, whether in a factory, a freeway, or on the surface of Mars, necessitates situational awareness. The system must be able to sense where it is in relation to otherness, be that physical objects, other moving vehicles, or people. “Safety first” applies at every step. On top of this, atmospheric conditions – weather, moisture, wind, and access to solar energy – must all be considered in the context of the overall mission, not just the task at hand. For self-driving cars, the primary mission is to transport the passenger from point A to point B. The challenge is knowing when to react to changing or dangerous conditions, even if it means deviating from the primary mission. Robots that collaborate with people in the workplace are sometimes known as ‘cobots’. Their duty is to operate alongside humans, working together to complete tasks. Some cobots lift heavy loads, while more sophisticated units combine their sensory capabilities with the analysis and knowledge afforded by AI. Others, like surgical systems, work at microscopic scale (and require human control and oversight in semi-autonomous modes rather than full autonomy). The robotic system helps the human accomplish goals by doing work that may be dangerous or difficult for the person. Over time, as humans successfully collaborate with an intelligent robot, they can then trust it to do more autonomously. Cognitive AI is not about chatbots, talking virtual assistants, or playing chess against a machine. It’s about powering the next generation of intelligent commercial and industrial edge devices, making it possible to apply them in scenarios that we can only dream about right now. It’s all about the ability to reason and understand and explain their results. As discussed earlier, most companies producing AI solutions today focus on improving existing business or industrial processes, rather than undertaking more ambitious and risky projects. These narrowly focused, one-off applications are only the first steps toward utilizing AI to its full potential. They do one thing well, but lack the awareness, communication, and executive functions of systems that understand their ‘big picture context’ in the organization and the world. As such, when faced with either unfamiliar situations or situations where data is missing or flawed, they break. This is where Cognitive AI comes in. Cognitive AI agents are insightful advisors with powerful reasoning engines that can be consulted by people to solve complex problems. Like humans, they are able to fill in these knowledge gaps – understanding a situation based on either prior knowledge or by amalgamating fragmented evidence into a mental model. These agents leverage encoded human expertise (preserving and democratizing legacy institutional knowledge) and pyramids of data to accelerate decision-making with precision and foresight. Cognitive AI systems help people solve previously unsolvable problems and creates business opportunities not previously perceived. 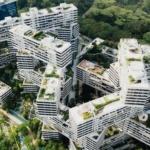 The logical evolutionary path for cognitive AI leads us to “hive mind” systems, wherein multiple cognitive agents designed to handle specific tasks can be connected to share insights across company silos. This would create ‘societies of intelligence’ that operate intelligently and collaboratively. In the case of a failure in one system, the other agents can pick up the slack. In this data-driven network, hive-mind intelligence can amplify the knowledge, wisdom, and intuitions of human populations, creating an ‘Artificial Expert’ with executive functions. It could answer questions, make predictions, and generate insights at the enterprise level. A cognitive corporation could be the result. Large fleets of ships currently operate largely unmonitored and un-instrumented, especially compared to other modes of transportation such as jets and smart cars. If we imagine supertankers as larger-than-average IoT devices, then they can be connected, tracked through networks of satellites, and coordinated efficiently by cognitive AI. State of the art AI systems can even predict shipping patterns for insight into supply and demand. Currently, most medical monitoring devices aren’t much more than dynamic alarm units. Cognitive AI can take smart medical devices to the next level by making it possible for two completely independent systems – one inside the body, the other attached to the body – to work in sync. Imagine an intelligent spinal alignment implant that could communicate with an intelligent prosthetic limb, coordinating strategies to improve a patient’s balance. This would allow them to walk confidently while increasing stamina and reducing strain, all while providing actionable data to physical therapists. This is a frontier where AI and robotics collaborate for human good. Cognitive artificial intelligence – truly intelligent symbolic AI software with bio-inspired, human-like reasoning – will take automation technologies to the next level and enable enterprises to fully utilize their investments in advanced technology. Using cognitive AI, robots can work together to not only analyze time-sensitive data at the point of origin, but also diagnose and solve problems in real-time. 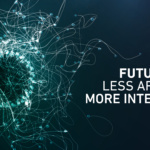 Next time: Part two, Beyond Limits CTO Mark James describes how cognitive intelligence moves to the extreme edge, and provides cautionary guidance for humans to remain in control of artificial intelligence as it grows in power and capability. Images created by Beyond Limits – Jessica Simm, Creative Producer.